Rapper Young Thug has been accused of some suspect behavior in the past, including rocking red nail polish on Instagram and wearing overly effeminate attire. While those things may or may not be a big deal depending on who you talk to, calling another man his “hubbie” truly has fans scratching their heads, especially since Thugger was recently connected to this thick baddie. 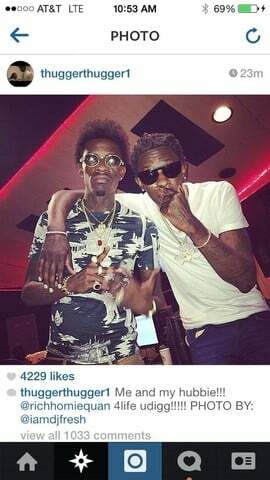 Still, Young Thug indeed did call his “Get TF Out My Face” collaborator Rich Homie Quan his “hubbie” on IG. 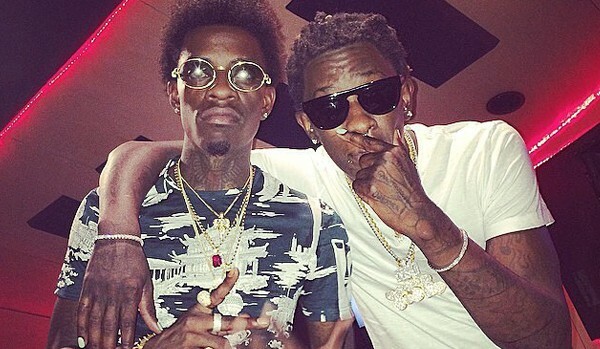 Knowing Thug’s history, it’s likely no big deal, but it still threw a few fans off for a bit.